A UN study has shown that the ozone layer is recovering at a rate of 1-3% per decade. The stratospheric ozone layer protects life on earth from harmful UV radiation. It prevents damage to the earth’s ecosystems and provides protection against skin cancer. The study, [ublished today, shows that years of dangerous depletion caused by the release of harmful chemicals is being reversed. The four-yearly review of the Montreal Protocol, a global agreement which was implemented to protect the stratospheric ozone layer by phasing out the production and consumption of ozone-depleting substances, found long-term decreases in the atmospheric abundance of controlled ozone-depleting substances and the ongoing recovery of stratospheric ozone. 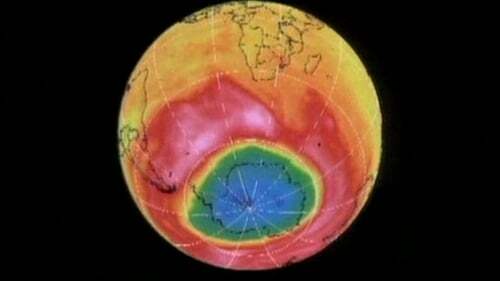 The report shows that the Antarctic ozone hole is recovering, while continuing to occur every year. As a result of the Montreal Protocol much more severe ozone depletion in the polar regions has been avoided. It said the Antarctic ozone hole is expected to gradually close, returning to 1980 levels in the 2060s. "Evidence presented by the authors shows that the ozone layer in parts of the stratosphere has recovered at a rate of 1-3% per decade since 2000," UN Environment and the World Meteorological Organization said in a statement. The UN had already hailed the success of the Protocol but the report said it was the first time that there were emerging indications that the Antarctic ozone hole had diminished in size and depth since 2000. The report noted that if CFC-11 emissions continued at the same rate, return of mid-latitude and polar ozone-depleting chemicals to their 1980 values would be delayed by about seven and 20 years, respectively.